Our Hot Honey Chicken is baked to golden perfection then drizzled down with a sweet and spicy honey glaze for the ultimate summer meal. It is, quite literally, finger-licking good. I’ve more or less shared this sentiment so far this season, as you may have deduced from my past several posts. I’ve spoken about what I enjoy during the season, and of my fondest summer memories, but it was not until the other day that I really got to thinking about ‘what makes’ those two words so beautiful, as Mr. James remarked of ‘summer afternoon.’ I was, surprise surprise, in my kitchen, standing in front of my sink window prepping the chicken for today’s recipe, when I noticed something across the canal, and in some regard, it was remarkable solely for the sake of its plainness. My lifelong neighbor was ‘still’ sitting out in his backyard. I say still because he had set himself outside earlier that morning, well before noon, and in that time the only thing that had changed was that he had moved his chair and adjusted the angle of his umbrella to match the altered position of the sun. A book or large magazine and what appeared to be a pitcher of iced tea were his companions for the day spent out in the sun. I shouted “hello”, and he told me how he had taken the day off to “do exactly what I’ve been waiting all season to do – nothing.” Diagonally across from him, my other neighbor had just pulled in from a morning out on his boat, and was tossing bits of leftover sandwich bread and bait to a circling flock of seagulls, and later that day he would take the opportunity to tell me about what he had caught and how great the weather had been out on the bay, and shortly thereafter the aromas of grilled fish would waft over my hedges from the adjoining yard. In other words, it was a pairing of quintessential summer scenes, two very different ideas on how to ‘perfectly’ spend the same day. For my own take on the day, I wanted to do something roughly ‘in between’ blissful nothing and the summer adventurism of an early morning fishing expedition. Naturally, that ‘in-between’ area involved me preparing something to take out on the porch to eat with the sunset. 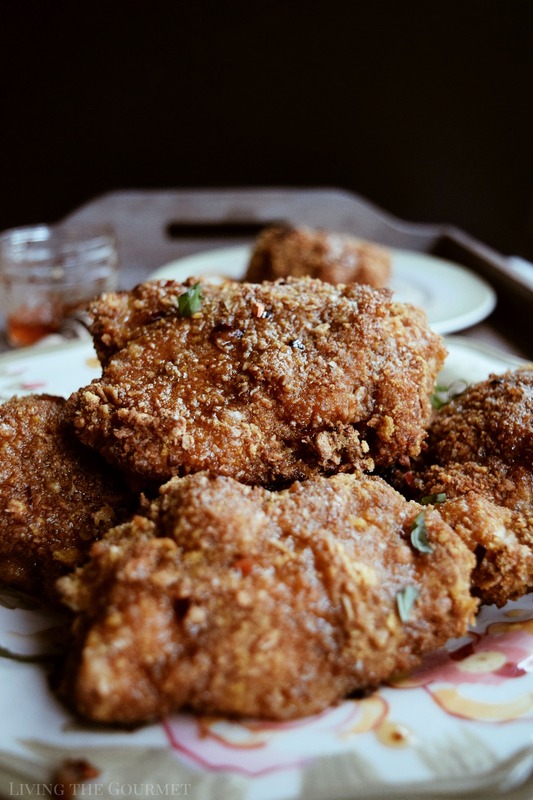 That, of course, brings us to today’s recipe – Hot Honey Chicken, which is a true ‘down-home’ meal that the entire family will simply love. 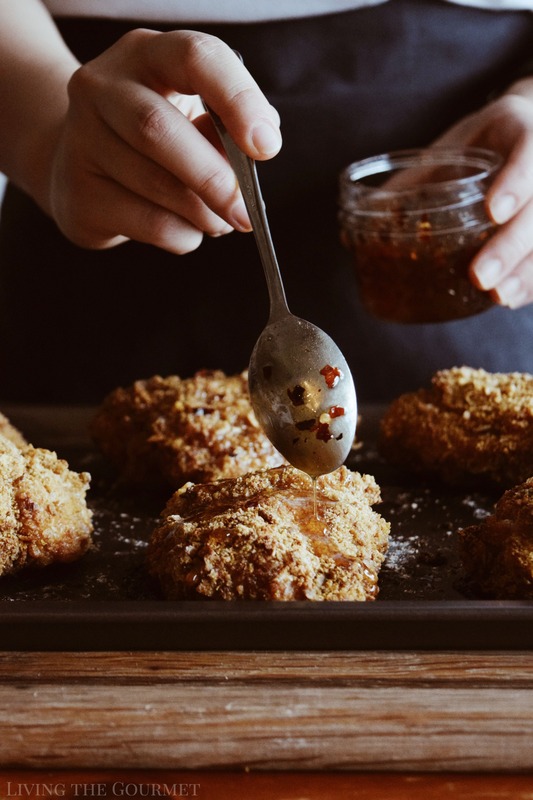 Dredged in a crispy honey and oat coating, and baked to golden perfection, then served with a hot honey sauce for dipping, the finished product is crispy and spicy on the outside, and tender succulence on the inside. Begin by trimming the excess fat off your chicken thighs then rubbing each down with some Kosher salt. Brine your chicken thighs in buttermilk for about 2 hours or overnight. In three separate shallow bowls, set up your dredging station. One bowl for the crushed cornflakes, a second bowl for the egg wash and a third bowl for the flour whisked with the spices listed above. Dredge your thighs in the flour first, then egg wash and finally the crushed flakes. Drizzle the thighs with olive oil before baking in the oven. Bake for 35-40 minutes or until the thighs are golden and the juices run clear. 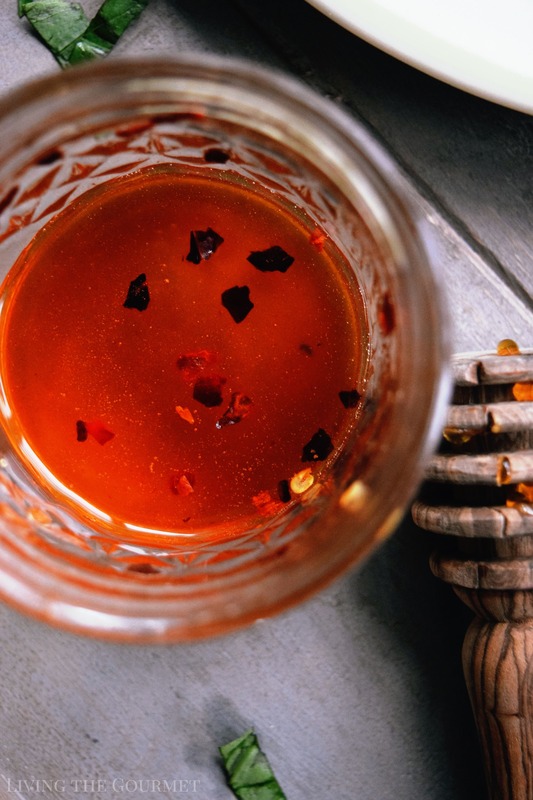 In a small saucepan, gently heat the honey, hot sauce and chili flakes. Whisk until the hot sauce and honey are blended together. 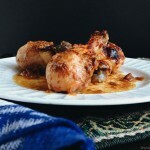 Serve over the chicken thighs and enjoy! And that, of course, was my ‘perfect’ way to spend the day. This looks so GOOD with that golden crisp crust! The spicy sweet sauce sounds amazing too. 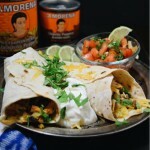 This looks wonderful Catherine I have to try this recipe !! Omg yum!! I just want to reach through the screen and devour that chicken. making my mouth water! This looks so fabulous! I love heat and sweet together. 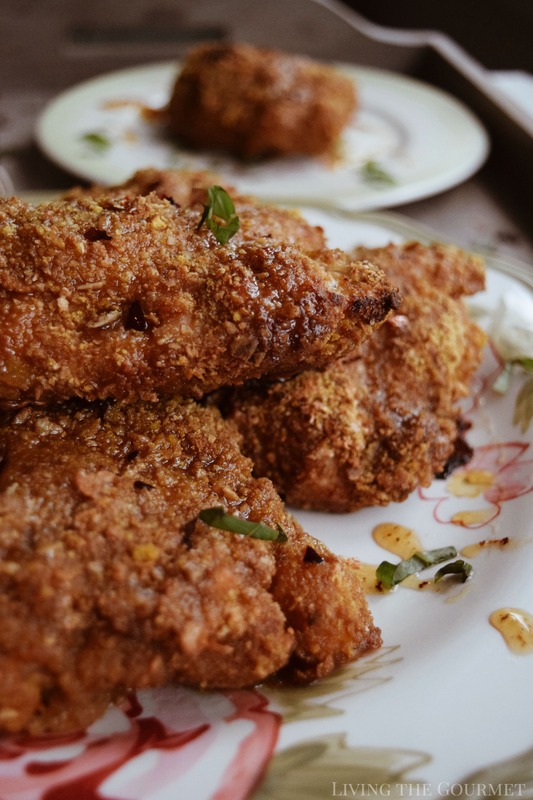 Corn flakes add a great crunch to chicken and using thighs ensures a juicy bite. Great recipe, thanks for sharing it! I was doing exactly what your neighbour was doing: nothing, this past month. It was glorious. Time to get back to reality and my kitchen. This chicken looks amazing!! This chicken looks like the perfect dinner to end the summer with. 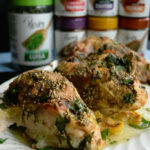 A very healthy and different but tasty way to bake chicken love it!! I am drooling looking at all of your pictures!! I'm definitely making this before summer is over! What an amazing way to kick up chicken with a little heat and honey. 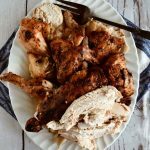 I love hot sauce on chicken and then that sweetness must make it fantastic in flavors! The chicken looks amazing and with the cereal coating the delicious sauce sticks to the chicken. And it is wonderful that you can look out your kitchen window and appreciate the beauty of your surroundings. We're looking for a new house and I want a window in the kitchen!!! I'll be trying your chicken recipe soon. This sounds so wonderful. My kids would be all over this. 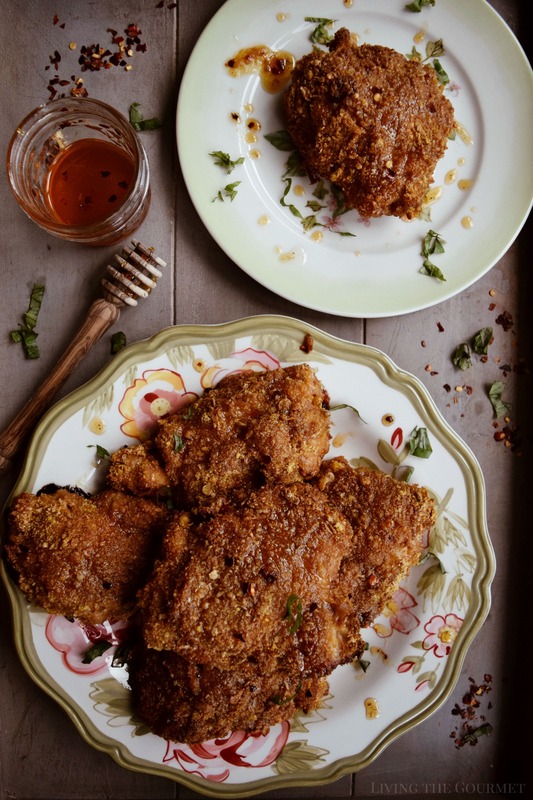 They love crispy chicken, especially when it's drizzled with a sweet and hot honey like this. Ahhh...how beautiful, crisp and scrumptious this hot-honey chicken looks! Your gorgeous images have activated my taste buds! 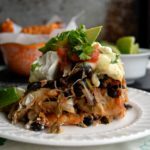 I'm so happy to have stumbled upon this fabulous recipe. My whole family is going to love this meal! 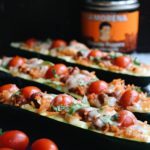 It looks delicious and I love how easy it sounds! Oh goodness, my husband would eat this entire dish himself. He loves spicy foods. I'm going to have to save this one for his birthday that is coming soon.